Dan O'Malley established O'Malley Construction, Inc. in 1979. 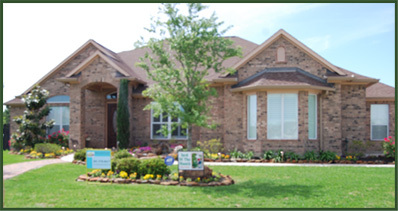 O'Malley Construction has continued to provide home buyers with distinctive homes with quality craftsmanship. The company is family owned and operated with 30+ years experience building single family homes, multi-family residential, and commercial/business properties. President and owner of O'Malley Construction is Bob O'Malley. Bob began working all aspects of the building industry throughout his high school and college career. In his four years away at school he earned a Business Degree at Stephen F. Austin and an Associates Degree at TSTI Building Technical School. Building a home is a team effort. O'Malley Construction depends on subcontractors and suppliers who operate with the same quality and principles as O'Malley Construction. Some of the subcontractors have been with O'Malley for 20 years. Because every home or building we build directly reflects our name and reputation, we take extra steps to guarantee total customer satisfaction. We would be happy to build on your existing acreage if the travel time wouldn't impede our ability to maintain our high standards of supervision on either your project or our existing clients' projects. O'Malley Construction Inc. © Copyright 2019 All Rights Reserved.